Glass annealing ovens or furnaces are used by glassblowers to eliminate stresses created in glassware during the glassblowing process. Under controlled conditions, the oven slowly and evenly heats the glass to annealing temperature. After a brief "soaking" period to ensure even heat distribution throughout the glassware, the oven temperature is slowly returned to room temperature. 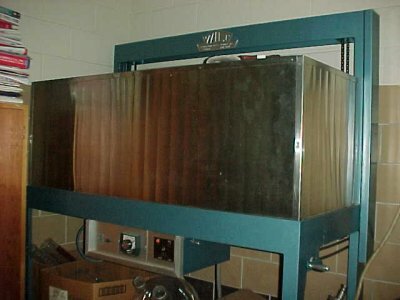 A typical glass annealing oven. This particular make/modestylel is known as a bell type oven. This photo shows the "bell" lowered into the operational position. Here we see the annealing oven with the bell in the raised position. Some advantages of this design are easy access to the oven interior for placing your work, and the economy of trapping heat within the raised bell when it is opened at operating temperatures. 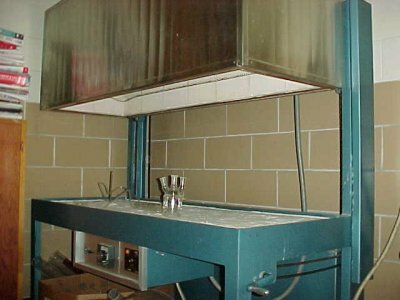 This photo shows the annealing oven bed. The surface is a glass/ceramic fiber blanket known as Fiber-Fax. Vermiculite is another commonly used material in some ovens, although care needs to be taken to ensure that the vermiculite does not contain asbestos, a known respiratory hazard and carcinogen. In this photo we are looking up into the bell and can see one of the resistive heating elements. 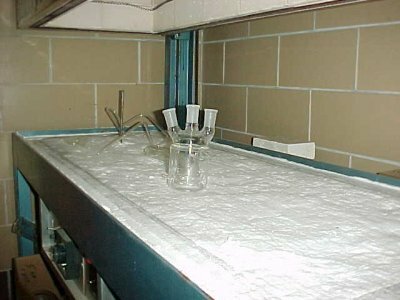 This particular oven is used for annealing borosilicate glass. 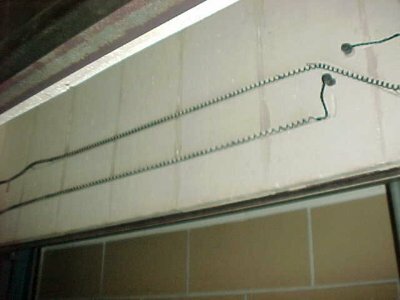 The electrical heating elements are controlled by a temperature controller. The controller may be a simple on/off control, or it can be a ramp controller capable of carrying out a programmed time/temperature profile on the way to reaching the annealing temperature. Similar controllers are used in laboratory heating apparatus.